"Some people can’t see but others just don’t want to see"
Nepali times – High on a green hill in Jumla’s Sinja valley, I close my eyes and hear the roar of rapids far below. The wind is whispering through the trees and from across the valley there is the happy sound of singing from paddy planters. When I open my eyes I see two blind students are sitting next to me. Surprising, they noticed me before I noticed them. They are among 19 blind students who stay in a hostel in Narakot for blind students that is supported by the Dutch-Nepali charity, Icfon. Like me, they had to walk for days to get here. The hostel itself is dark, but that doesn’t mater to the students. 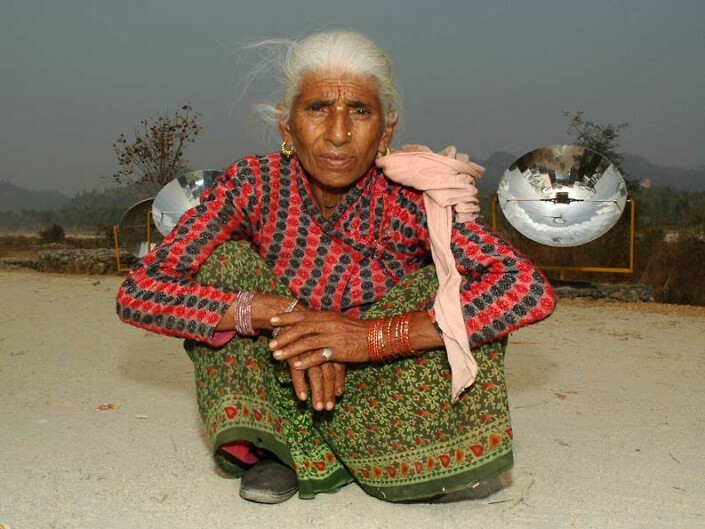 The closest place with electricity is Jumla Bajar, two days walk away. 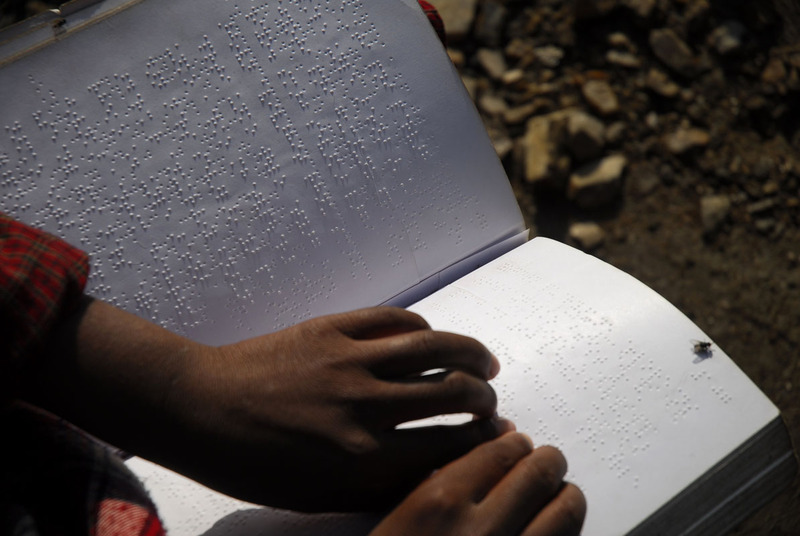 I pass two students inside their room, it is pitch black inside and they are studying together in braille. 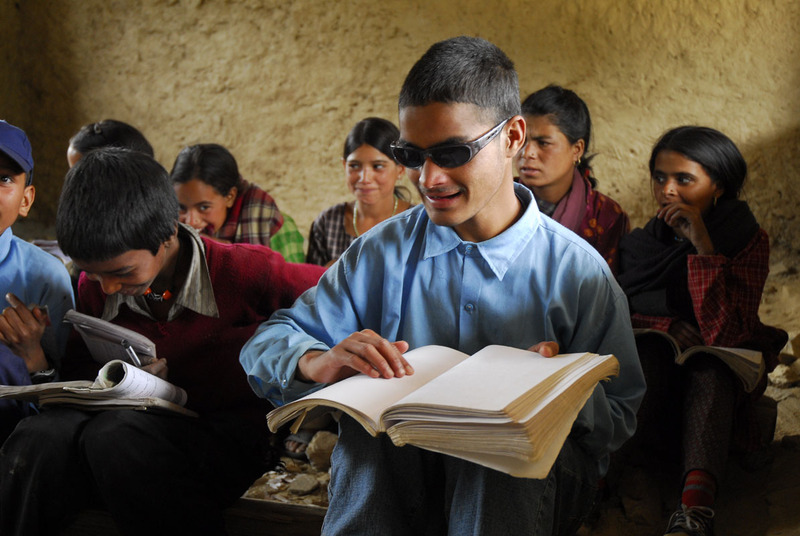 Icfon runs similar programs for blind students in Palpa and Baglung with the Nepal Association for the Welfare of the Blind that itself works in 74 schools all over Nepal. The school is nearby on the same hill. These students play with their sighted classmates. 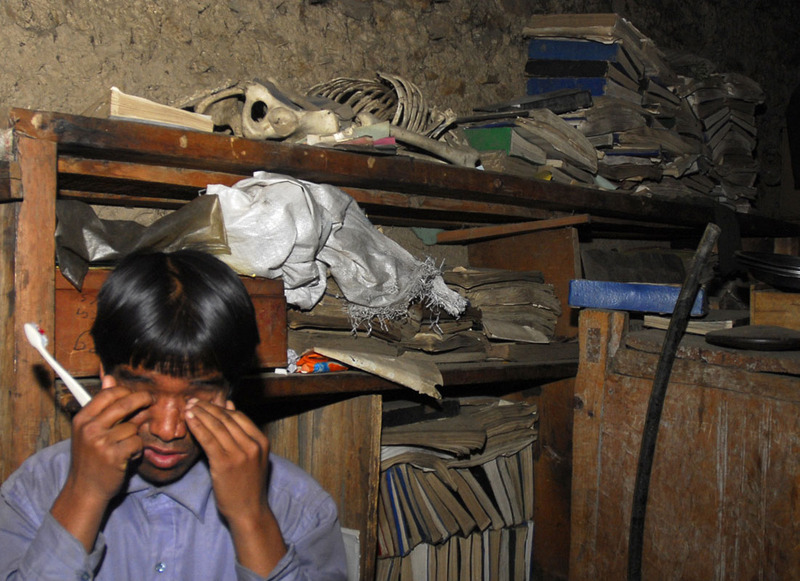 The blind students excel in music, but they are behind the others in maths and other subjects. 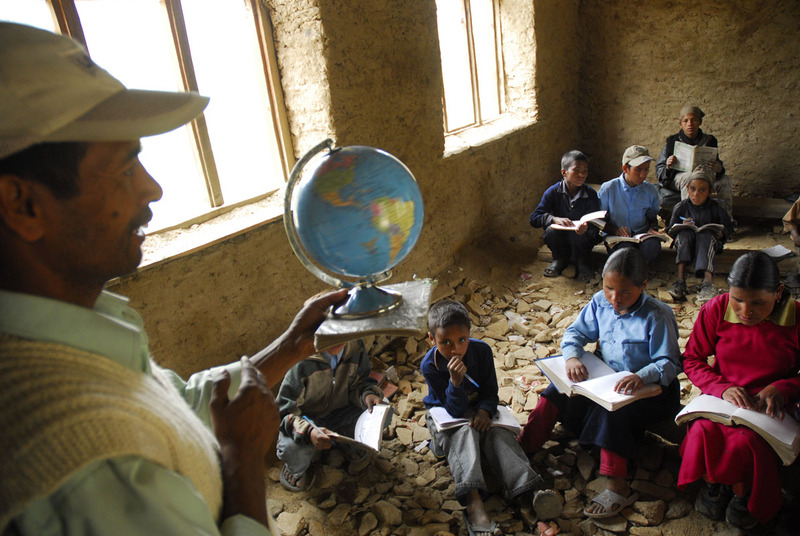 Besides having to deal with not being able to see, the blind students also share all the problems that the people of this remote corner of Nepal have to deal with every day: food scarcity, the terrible cold, acute respiratory infections, displacement due to the conflict. 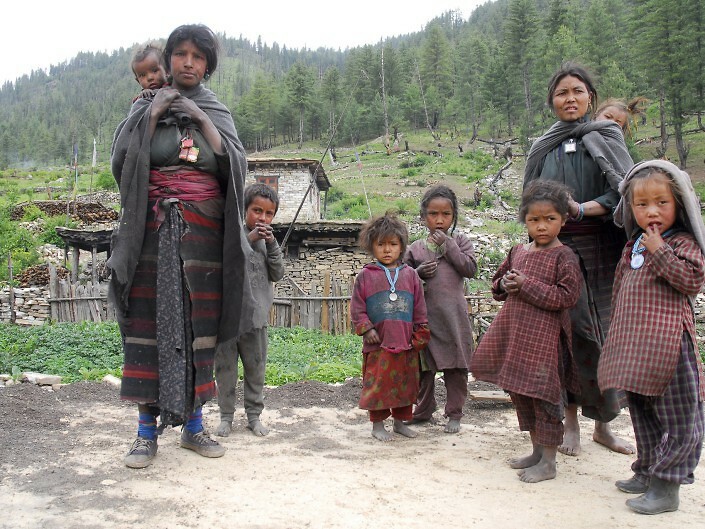 Many villagers in Sinja have already moved down to India. Although some are coming back because of the ceasfire for the planting season, they still have to migrate because there is no work for young people here. The winters are bitterly cold here with Sinja snowbound for four months. Families huddle indoors and the pinewood smoke from kitchen fires makes chest infection endemic among children. Three years ago a blind student froze to death. Some families move south for the winter, but the blind students have to huddle and keep themselves warm. 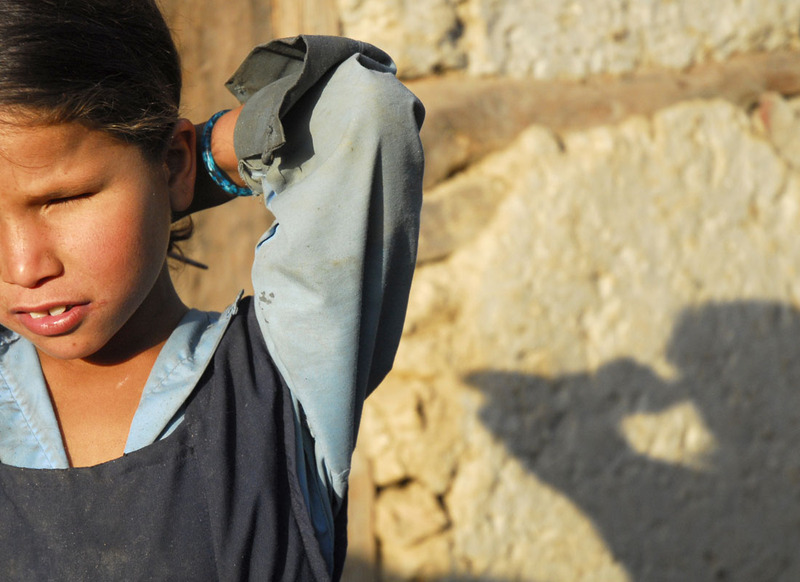 The main reasons for blindness here are cataract, vitamin A deficiency and untreated infections. Then there are the Maoists, who keep coming through to indoctrinate them with Marxist ideology. The rebels don’t bother the blind students much because of their handicap but they do harrass the charity groups trying to help the students. There are other questions, too: why should this hostel for blind students be dependent on a foreign charity and not on the government? There are a lot more questions than there are answers. The hostel itself is dilapidated and needs urgent renovation if it is to survive the next winter. As I leave the beautiful green valley of the ancient kingdom of Sinja, it occurs to me that some people can’t see but others just don’t want to see.